James Gandolfini was born in Westwood, New Jersey, United States, on September 18, 1961, was an American actor. Young James Gandolfini began his acting career on stage in the New York. He made his Broadway debut in a play A Streetcar Named Desire (1992). He made his big screen debut in comedy fantasy film Shock! Shock! Shock! (1987) in role as Orderly. Gandolfini's breakthrough performance came as Virgil in romantic crime film True Romance (1993). 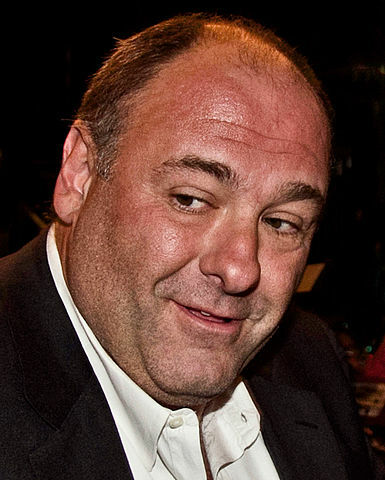 He won a Golden Globe Award, three Screen Actors Guild Awards and three Emmy Awards for his role as Tony Soprano in crime drama television series The Sopranos (1999–2007). He studied a Meisner technique acting class. He was posthumously inducted into the New Jersey Hall of Fame in 2014. He was married to Marcy Wudarski (1999-2002), they have a son. He married actress Deborah Lin in 2008, they have a daughter. Was a close friends with Karen Duffy. Was a good friends with actor John Travolta. Gandolfini died on June 19, 2013, at age of 51. Standing in public in other people's clothes, pretending to be someone else. It's a strange way for a grown man to make a living. 'The Sopranos' all came down to the writing. I wouldn't have been on for as long as I was if the writing weren't so good. I dabbled a little bit in acting in high school, and then I forgot about it completely. And then at about 25 I went to a class. I don't think anybody in my family thought it was an intelligent choice. I don't think anybody thought I'd succeed, which is understandable. I think they were just happy that I was doing something. Part of the fun of acting is the research, finding out about other people. I love hearing people laugh. Especially in New York, and especially now. To hear somebody out there just belly-laughing.